As some of you may know, when I’m not travelling I am based in London, and I love spending time in this exciting city, whether it’s exploring a new area or hunting cherry blossoms. No matter how long I’ve spent here, there is always something new to discover, a hidden corner, a quaint street, an exciting day trip, or a house with captivating history. 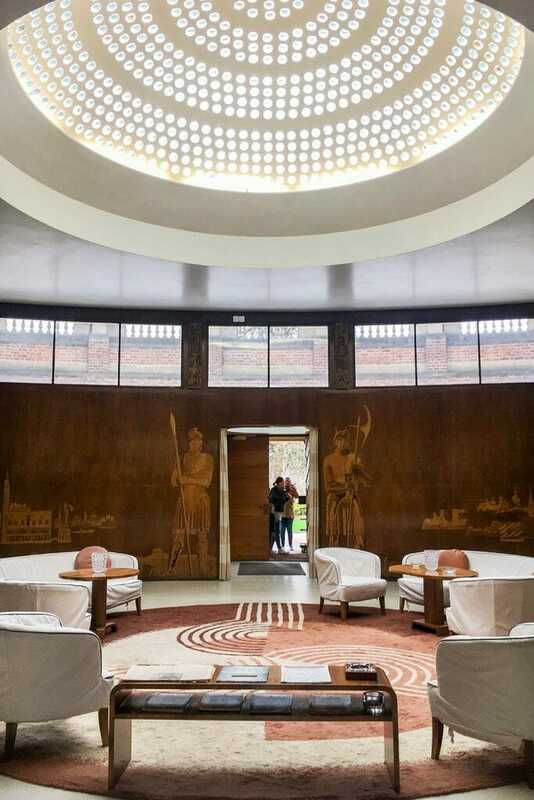 Eltham Palace is one of London’s best kept secrets. I heard about it a couple of years ago, and I was surprised to learn that it is not a palace at all. It started off as such in the times of the Norman Conquest in 1066, but it is now a stately home. It has been modified so many times through the ages, that the current result is not what anyone would expect – a medieval/Art Deco mashup of a building. Numerous kings loved the Palace through time, but when it fell out of favour, it suffered almost 3 centuries of neglect. 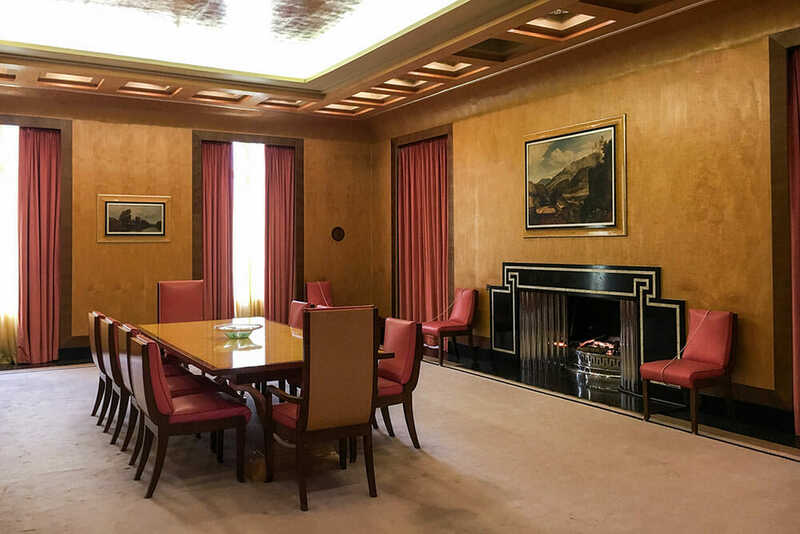 When the last residents of Eltham Palace, the Courtaulds, took it on, they turned it into the ultimate Art Deco mansion. 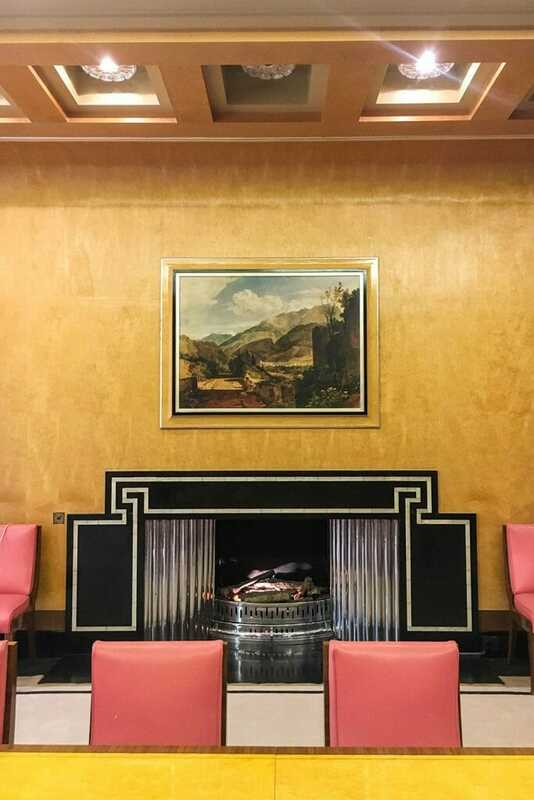 With such an ancient-sounding name and a combination of Tudor and Medieval exterior, I was not expecting Eltham Palace to be so modern inside. But when I say modern, I am talking about the 1930s. 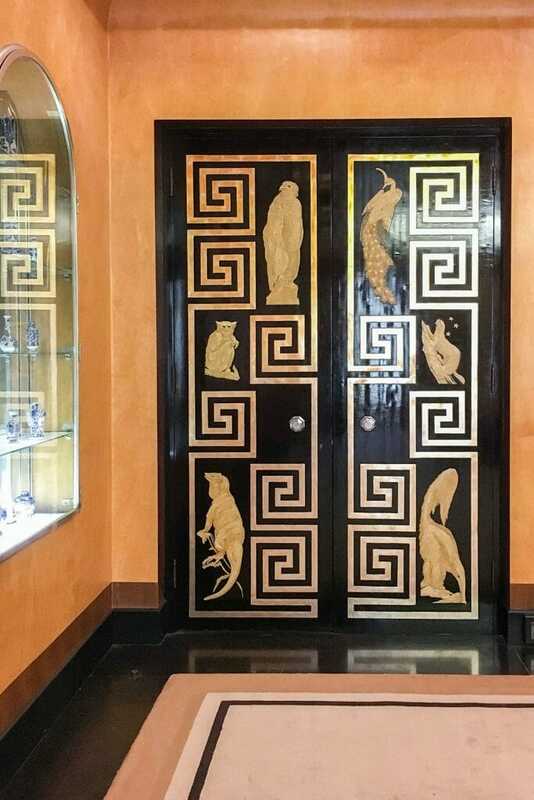 The house is a 20th century masterpiece and a treasure trove for any Art Deco fans out there. It has the style, comfort and the latest technology of the time, such as hot water on tap throughout and a built-in vacuum cleaner. The Entrance Hall is undoubtedly the highlight of the house with its bright domed roof. 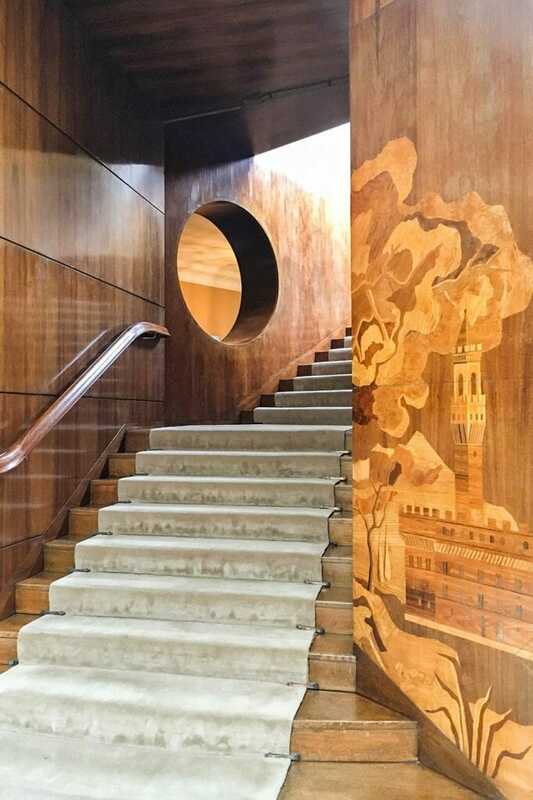 The walls are covered with a veneer of wood decorated with marquetry of a Viking and a Roman soldier, and scenes from Italy and Scandinavia. The bedrooms are finished with the most exquisite detail in the Cunard style, so it almost feels like you are on a cruise ship. One of the bedrooms even had an external telephone line. The most extravagant room in the house is one of the bathrooms. 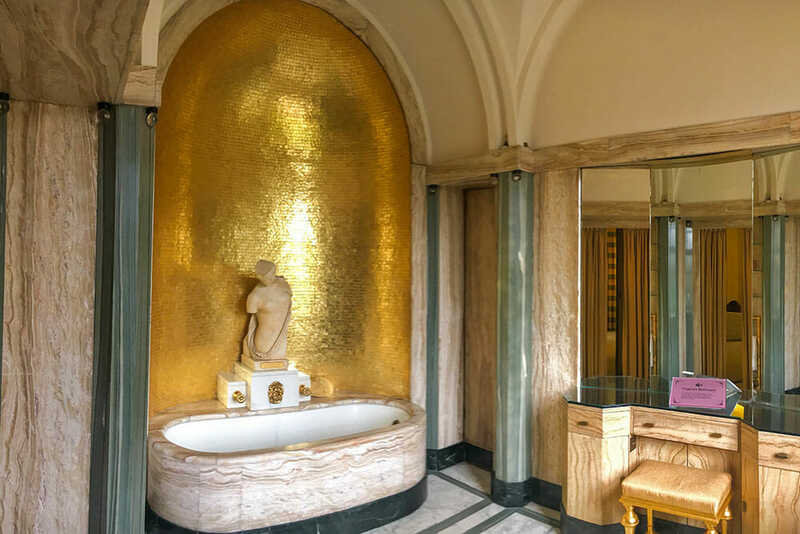 It is designed in the classical style and lined with gold mosaic and onyx, with gold-plated taps and a statue of the goddess Psyche. The dining room is the other star of the house, by Italian designer Peter Malacrida, with its maple veneer walls and an aluminium leaf ceiling. The Library is full of reminders of the Courtaulds’ past and their interests such as the military and their travels. The Great Hall, with its hammer-beam roof, is the only remaining part of the house from medieval times. It’s been lovingly restored to its former glory. 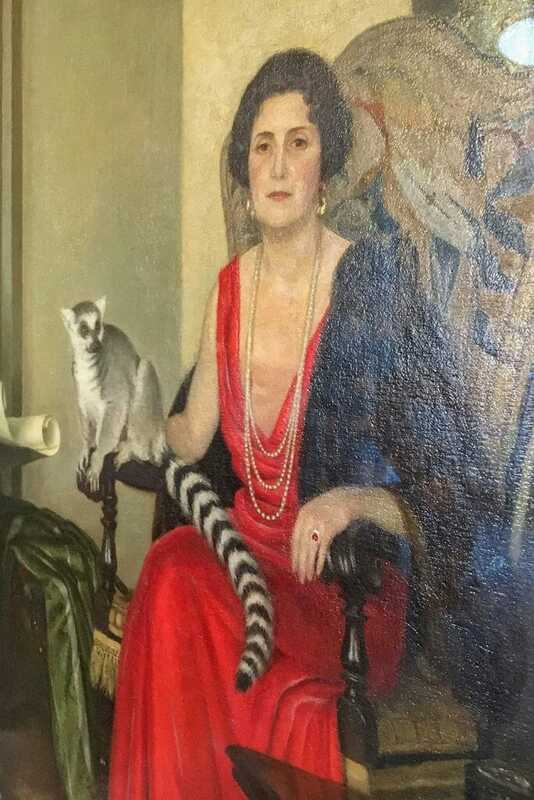 The last residents of Eltham Palace were Sir Stephen and Virginia (Ginie) Courtauld. They were the ultimate socialites, and Genie was a fabulous hostess. She held outrageous parties for an eclectic mix of guests, which included an array of film friends from Ealing Studios. 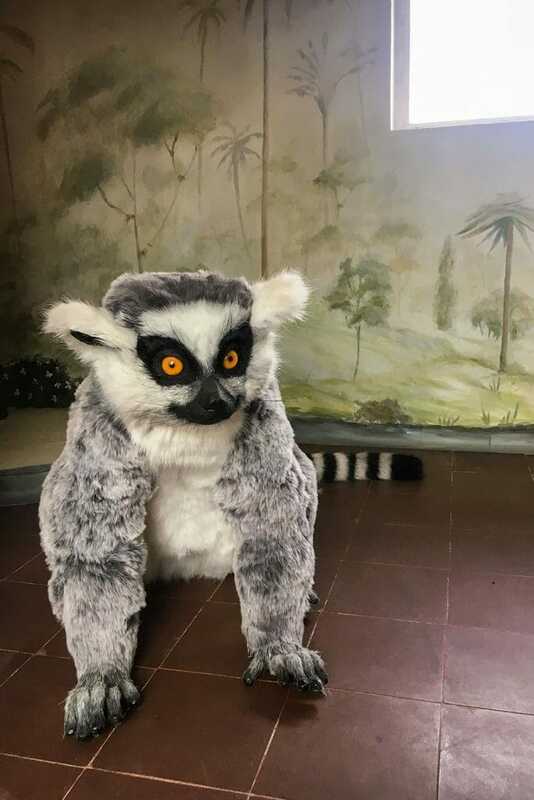 Genie even had a pet ring-tailed lemur called Mah-Jongg (Jonggy) who roamed the house freely, and she found it hilarious that it nipped guests’ ankles. Although I’m sure they didn’t find it so funny. Stephen purchased Jonggy at Harrods exotic animal department as a wedding gift to Ginie. It had its own heated room with a Madagascan forest scene painted on the wall ‘to make it feel at home’. Both Stephen and Genie loved travelling and were keen photographers. They recorded their many travels on journals, but also through photography and cine-films. 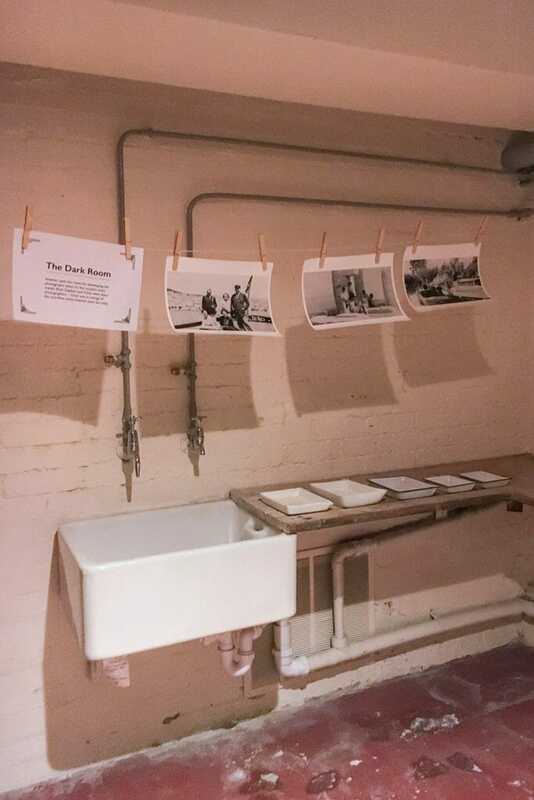 They had their own dark room built in the basement. 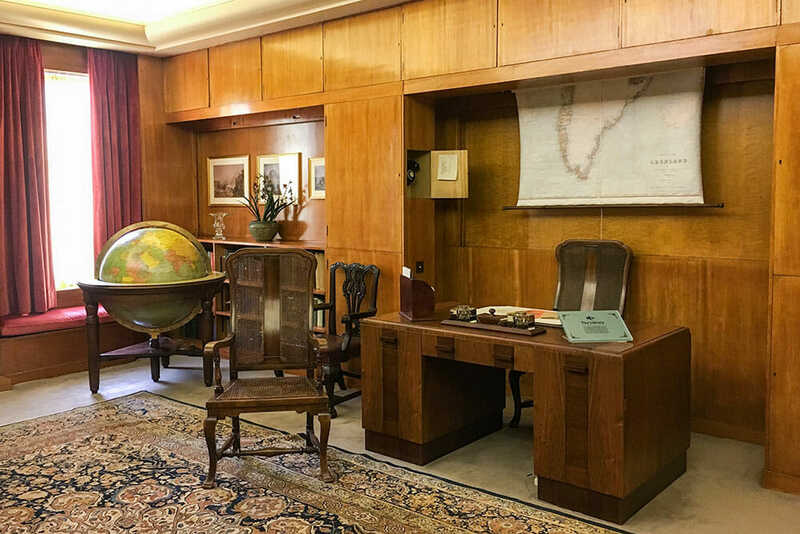 Evidence of their travels are everywhere in the house – maps, globes, journals. There is even a Map Room! 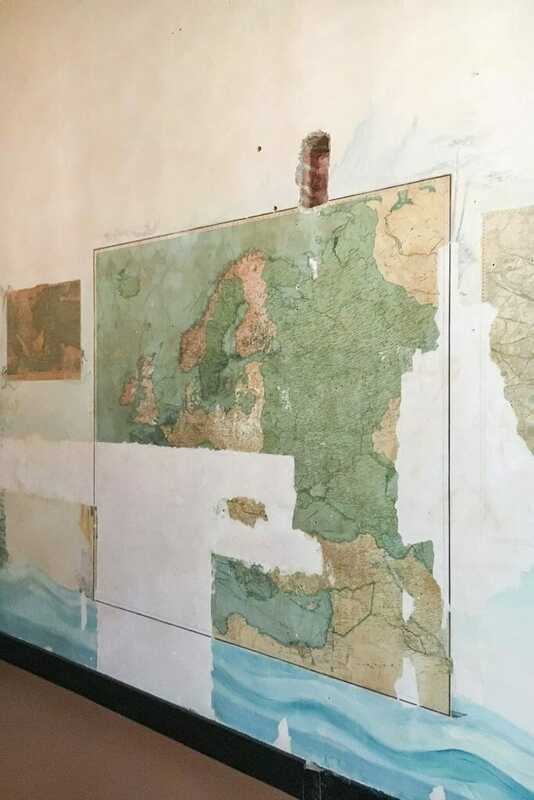 It has recently been discovered and has a collection of maps from all over the world that was underneath a layer of plaster on the walls. This got me really excited, of course! Who wouldn’t want a room like this to plan your travels? The Courtaulds stayed in Eltham Palace until 1944, but the threat of World War II bombings was too much. They moved to Southern Rhodesia, now Zimbabwe, and the house became a military college. In the 1990s English Heritage took over and set about restoring it to its former glory. And what a great job they’ve done! 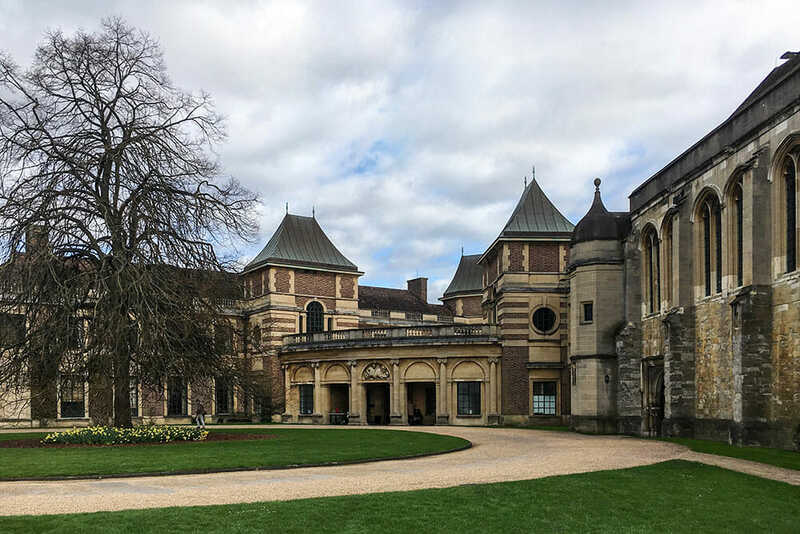 Eltham Palace ‘hides’ in the South East of London. It is only half an hour by train from Charing Cross station. Tickets cost £14.40 adult/£8.60 child. 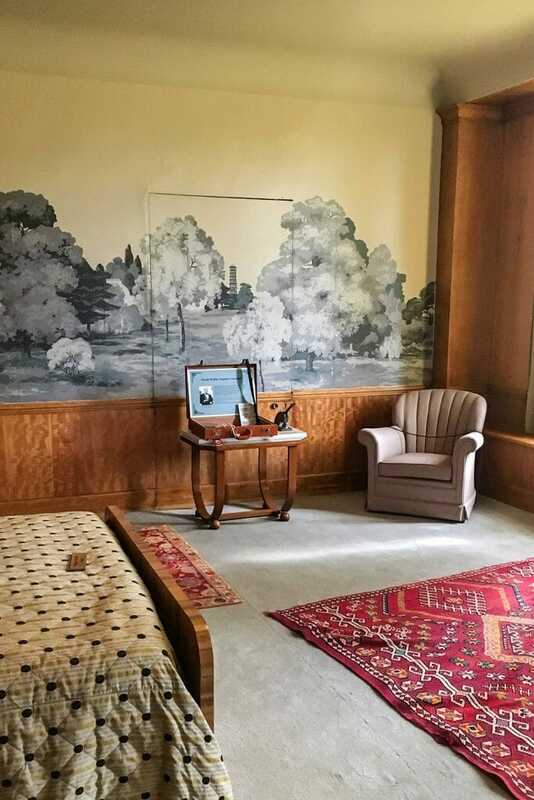 You get an audio guide with lots of useful information that will take you through both the house and the gardens. There is also a good café by the Orangery for when you need a little rest. Or that quintessentially British cup of tea. What a great post, Teresa. I’ve been to London a few times and I’ve always enjoyed the city, but I still like hearing about the hidden gems I’ve not yet discovered. So much wonderful history here too. Holy moly, this is in London?! 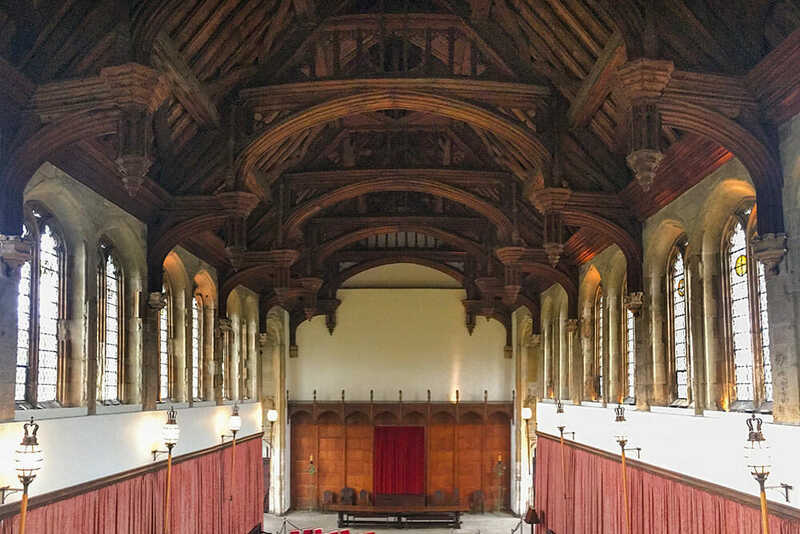 I can’t believe I’ve never heard of Eltham Palace before, it’s stunning! The palace looks gorgeous, and I love the art on the inside! So cool to find the map room, too! 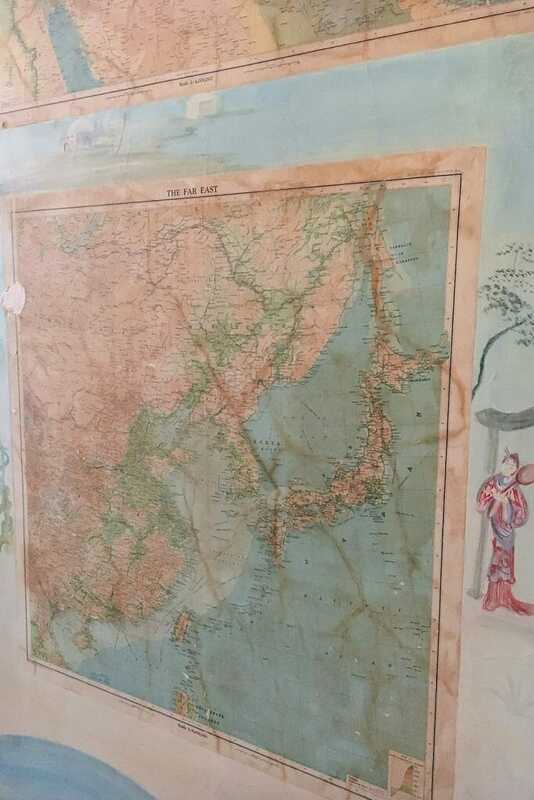 It’d be so cool to look at all of the old maps.